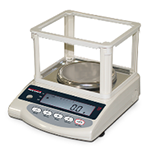 For precision weighing needs, AES Scales carries many types of quality laboratory balances from various brands including Rice Lake, Ohaus, Sartorious, and A & D Weighing. 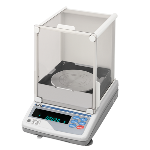 Rice Lake's Equipoise balance is ideal for classrooms, laboratories and industrial applications with quick access to 13 different units of measure, percentage, counting and accumulating. TC Series balances are equipped with the unique Mono-Metal Tuning Fork Sensor (MMTS), bringing remarkable response time and exceptional stability to any setting. Rice Lake's TP Series balances, equipped with mono-metal tuning fork sensors, bring remarkable response time and exceptional stability to any setting. Rice Lake's TS Series tuning fork balance delivers high-speed response time with stable and reliable results. The A&D Weighing MC Series balance provides super hybrid sensor technology, perfect for many applications from laboratory to electronic manufacturing. A & D’s Ion BM Series balances have a built-in fanless static eliminator, standard underhook and built-in calibration weight. 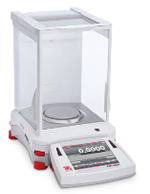 A & D Weighing’s GH Phoenix Series analytical/semi-micro balance provides simple and easy to operate functions. This balance adapts to your environment. 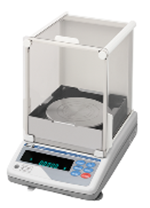 A&D Weighing HR-A and HR-AZ Series analytical balances provide fast stabilization time, one touch calibration and a compact footprint. 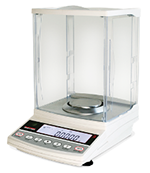 The A&D Weighing EJ Series compact balance has an easy to read, seven-segment LCD display with backlight. A&D Weighing EK-EP are intrinsically safe balances with capacities in 300 kg, 3,000 kg or 12,000 kg. 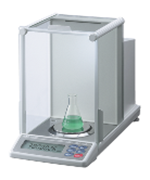 Operating modes include Counting, Percentage and Specific Gravity. 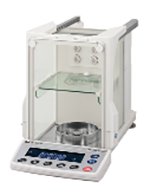 The Ohaus Explorer® Series analytical balance features cutting-edge technology and functional design, delivering accurate performance while improving efficiency in the lab. The Ohaus FD Series scale is a rugged, multi-use portioning scale designed for use in food service applications. The Ohaus Navigator™ XT Series balance offers touchless sensors, ultra-fast response time and superior overload protection for use in a wide variety of weighing applications. It is important that we provide the proper Lab Balance for your application. There are a lot of things to consider when choosing a lab balance and we know what questions to ask. If you are serious about accuracy, long life, and suitability for your particular application call AES Scales at 888-237-7225. We will provide free consultation and supply the information you need to make an educated and considered decision. We will ensure that the balance you purchase will deliver the results and the longevity you expect. In addition, we will stand ready to provide installation, testing, certifications and service support at your request.